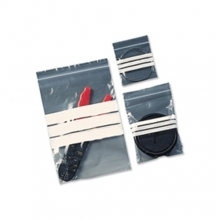 Grip Seal Bags There are 2 products. 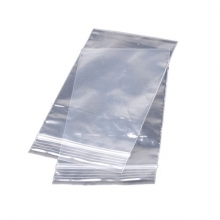 There are bags, and then there are grip seal polythene bags! Everyone loves the convenience of a grip seal bag because they are so easy to seal you can do it with just a finger and thumb. The environment loves them too because as the seal can be closed and opened time and time again, there’s less wastage. Who are they useful for? The question is more, who are they not useful for! To be honest, grip seal bags have so many uses, you could almost give them away as birthday presents. Almost. Ours come in a range of sizes – fishing tackle size, rare stamp size, silver ring size, as well as A4 document size, craft or stationery size, and more than a few odds ‘n ends sizes. Some even have write on panels for you to add a use-by date or the owner’s name. Another great feature of the grip seal bag is that it doesn’t need to come with instructions. Even the most inexperienced grip seal bag user will instinctively place their contents on the inside of the bag (making full us of its bag qualities) and then naturally create a superb seal – gripping and gliding their finger and thumb along the top open edge in a swift and silent motion that is every bit as satisfying to carry out as it sounds. 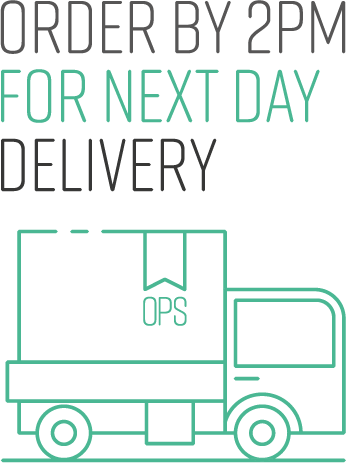 In the event that the sealing action is less than obvious to the user we’ve done our best to point it out. Grip seal bags. The clue’s in the name. A panelled range of self-sealing bags with 3 matt white write-on-panels so you can label contents with a pen or pencil. 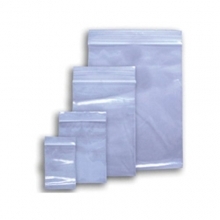 Each size contains 1000 write on panel bags. Read the full product description.